One thing that came in mind when I saw the marvelous piece of Japanese engineering for the very first time bejeweled with black color and raunchy exteriors is “wow”. Honda is always been on top of exteriors, style and comfort and Accord is a beautiful portrait depicting bold looks , extremely nice finishing and is a style icon. Enormous size and spacious interiors every corner is beautifully designed leaving no room for amendments. It is a dream comes true for those who like sedan with SUV space and want a separate distinct personality. At first I thought that its size is very big and it will be very difficult for me to drive it in city traffic conditions but I took test drive to explore more about it. I sat on the driver’s seat and was feeling like sitting in a high end Mercedes fully equipped and was nothing short of a divine beauty. Despite of the hulky exteriors, car offers high ground clearance and you will be able to see all the four corners well. I pressed accelerator and car responded like a jet plane. Enormous space inside in all corners especially legroom and boot space, car is all set to accommodate 6 people comfortably. Mileage is great, fetches close to 9kms/ltr. After sales service of Honda is best in class and spares are reasonably priced too. After driving for sometime I shifted myself to the rear compartment. Seats are very comfortable and spacious, in all whether you are driving, sitting at back alone or with a family car will always keep you interested. I can speak,Honda Accord is a affordable VIP car. Honda Accord is a superb sedan.The car best after BMW serious whole world.This car engine as it's calm and have super control in highway.This car steering is the best as anybody can control with one finger. 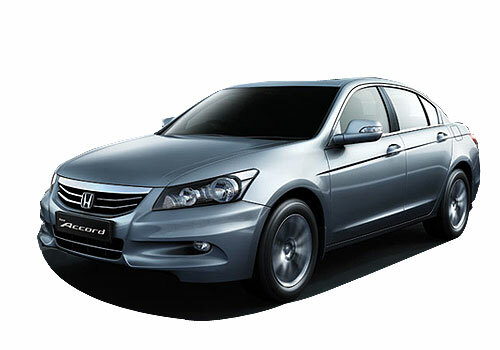 Honda Accord has Very comfortable and stunning looking interiors..